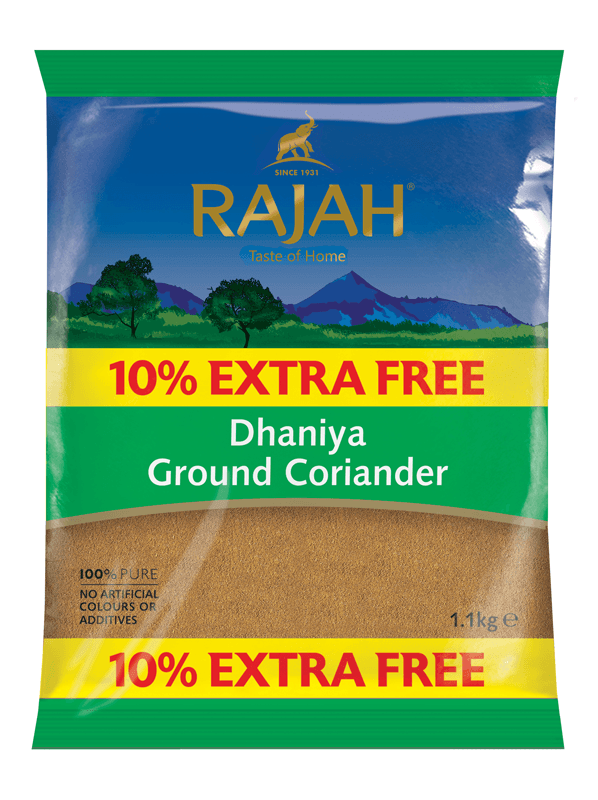 Rajah’s whole spices are an essential in every kitchen. They can be roasted, crushed or ground to suite the requirements of each dish. We have a wide range of whole spices including bay leaves, cassia bark, green cardamom and cloves. Garam masala is an aromatic mixture of ground spices used as a base in many Indian dishes. The content in the garam masala differs regionally, but they are all equally authentic. The components of the mix are toasted and then ground together. Some common ingredients are Coriander, Ginger, Cinnamon, Cumin, Black Pepper, Pimento, Cardamom, Clove, Bay Leaves, Cassia, Nutmeg. Variety is the spice of life and we at Rajah Spices know you’re always looking for meal time inspiration and ways to add your taste of home to every dish. That’s why we’re always looking for new ways to experiment with our spices, helping you in every style of cooking. This year, we’re proud to announce our Rajah Recipes series in collaboration with Dipna Anand, an award-winning celebrity chef and author – giving your desi classics a masaledaar twist and adding some desi tadka to some British favourites. Whether it is Chicken Makhani in a Pie or a sprinkle of spices on your cupcakes, a dash of chocolate in your halwa or a masaledaar tadka to your cod, every month we’ll bring you a variety of mouth-watering recipes with a contemporary twist. Follow our unique recipe journey to add a taste of home to every dish. For regular updates on the latest recipes follow us on Facebook, Instagram (@Rajahspices) and Twitter (@rajah_spices). This festive season Rajah Spices wishes you a very Merry Christmas and a Happy New Year! It is the time for get-togethers with family, friends and loved ones, and of course plenty of delicious food to accompany the celebrations. And if you need some inspiration for your festive feast, have a look at our recipes page and why not try some Goan Nevris as a sweet treat. 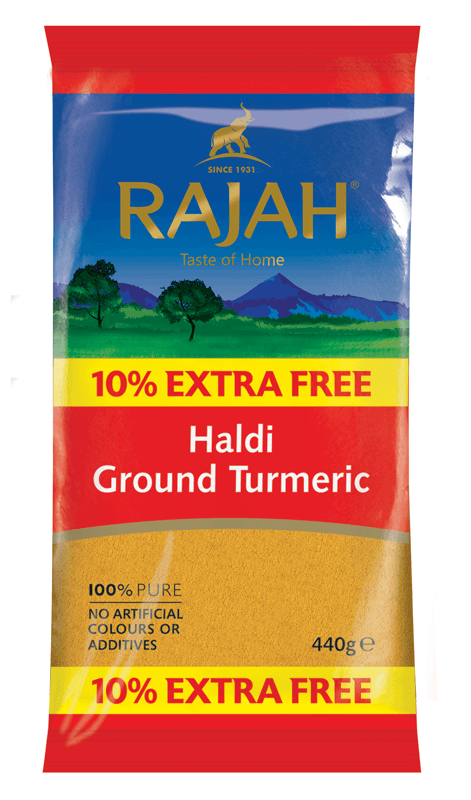 With winter coming, Rajah Spices is offering 10% Extra Free on select spices to heat things up in your kitchen. 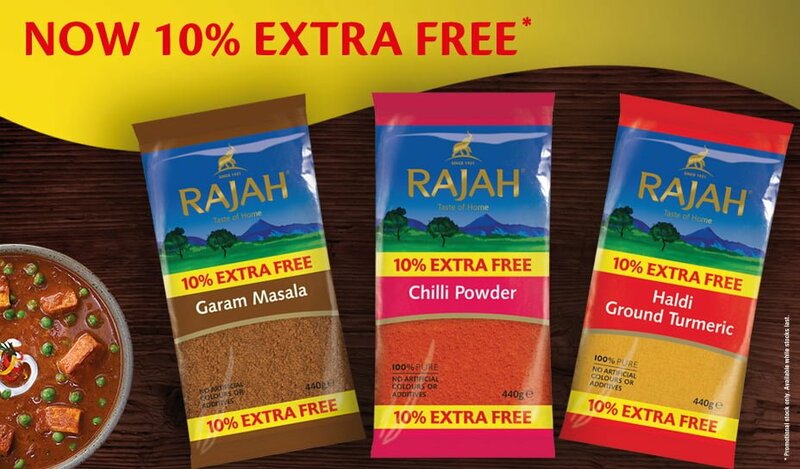 Look out for Rajah 10% Extra Free promotional packs at participating stores. The offer is available on selected spices across 100g, 400g and 1kg packs. Each pack is clearly labelled and marked so make sure you look out for the 10% EXTRA FREE packs and get yours whilst stocks last! Available only whilst stocks last so make sure you don’t miss this brilliant offer! Rajah 10% Free Promotion Now On! Rajah Spices gives you the perfect offer to celebrate! 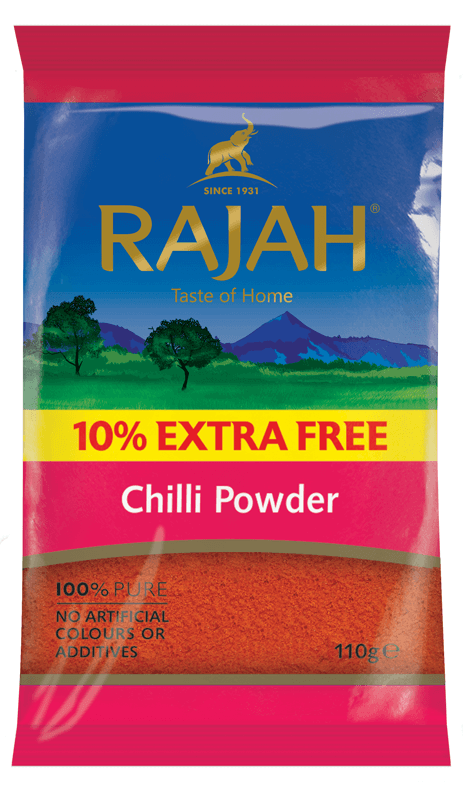 Look out for Rajah 10% FREE promotion packs in store now. The packs are available in most ethnic stores, corner shops and supermarkets. Make sure you look for the packs marked with 10% FREE. The offer is valid on specific products across 100g, 400g and 1kg packs. Each pack is clearly labelled and marked so make sure you look out for these and stock them up quickly before they run out! Offer is valid for limited time only so hurry! It’s time to stock up for Ramadan so make sure you don’t miss this brilliant offer! We have been around London, Birmingham, Leicester, Manchester, Leeds and Bradford.. and as all good things come to an end, this weekend will the last time you will see the big Rajah Heat & Stir van. 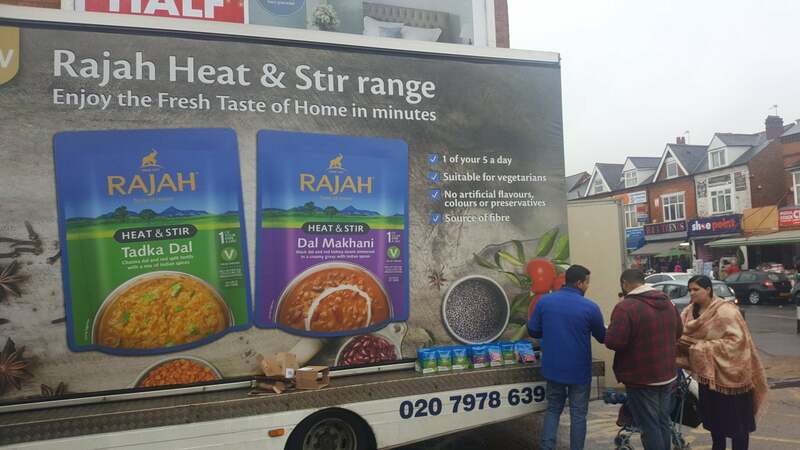 So, for all of you who missed out on getting your free pack of Rajah Heat & Stir Dal Makhani and Dal Tadka, we are giving them out on the 4th of February at Hounslow, Ealing Road and Wembley and on the 5th of February at Upton Park, East Ham, Barking and Ilford. After going around London, Birmingham, Leicester and Manchester the big blue Rajah Van is coming to Leeds and Bradford this weekend. We will in Leeds on 21st Jan from 10am – 6pm and in Bradford from 10am – 5pm and then heading to Drewsbury to finish at 6pm. If you miss that authentic taste of home of freshly cooked daals then come and get a free sample pack of daal from us. Available in two flavours – Dal Makhani & Dal Tadka our Heat & Stir Dals will leave your mouth watering. See you in Leeds & Bradford! Leeds Locations – Abaseen Store (Harehills Road), Chapelton Road, Abu Bakr (Queens Road), Roundhay Road, York Road, Hyde Park Road. 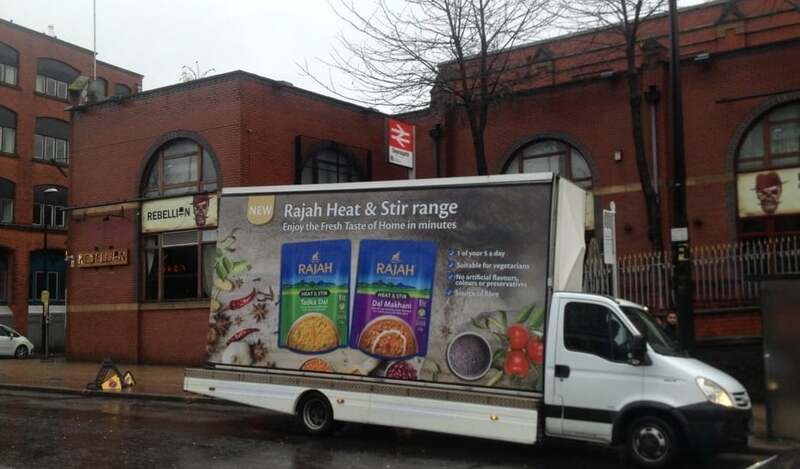 Rajah Heat & Stir are coming to Manchester this weekend! Get ready Manchester for Rajah’s new Heat & Stir.. It might be snowing outside but in your kitchen it will be the fragrance of lovely Dal Tadka & Dal Makhani. This is your chance to get a free sample.. meet us on Saturday and Sunday and spot the Rajah Van at a street near you and get a pack from our representative. We will be going around town with stops at Stockport Road, Wilmslow Road, Cheetam Hill Road, Slade Lane and Crescent Road with a number of stops including those at Worldwide Foods and Manchester Superstore. We look forward to seeing you this weekend 14 – 15 Jan 2017. 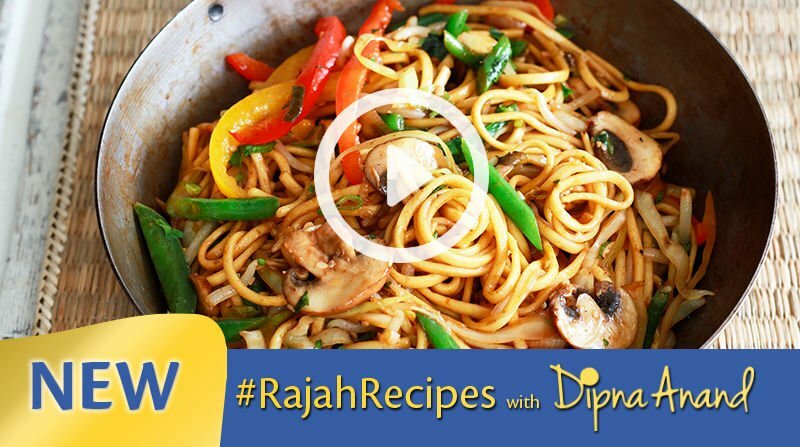 Rajah Spices is proud to sponsor new cooking show Dip In Kitchen on the most popular Asian music channel – B4U Music. Presented by super talented chef Dipna Anand, the show salutes the brilliance of Indian food here in the UK and how it has evolved while sticking to its roots in the multi-cuisine UK market. Dipna has years of experience as a professional chef and brings her expertise to the show with showcasing some really exciting recipes that will make your mouth water! Watch Dip In Kitchen every Saturday @ 5pm on B4U Music – Sky 718, Virgin Media 816 and Freesat 503. Rajah Heat & Stir is coming to a street near you. 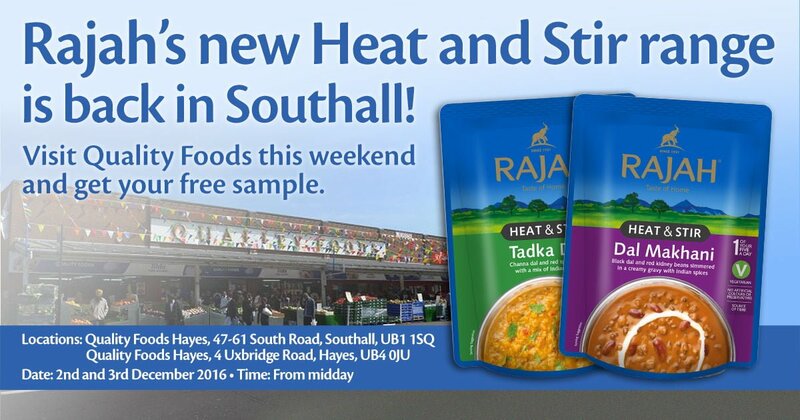 Starting this weekend, we will be coming to your area to distribute hundreds of free Rajah Heat & Stir samples of Tadka Dal & Dal Makhani. Make sure you follow us on our Facebook and Twitter pages to see when we are in your area. 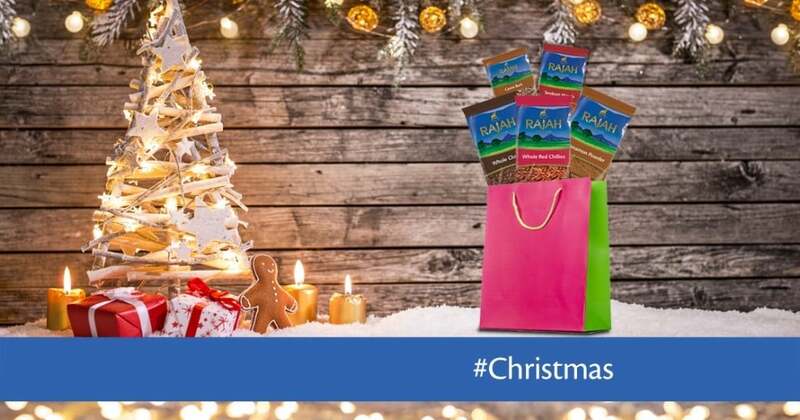 Keep a look out for the Rajah Van coming to East London this Saturday and Sunday (3rd & 4th Dec’16) and get your free Rajah Heat & Stir pack! We will also be in Southall at both the Quality Foods where you can get your free sample as well. 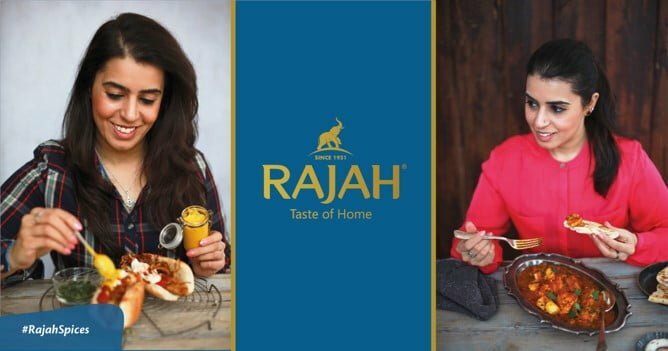 Rajah, the most established South Asian spice brand in the UK, has just launched their ready to eat Heat & Stir range with 2 delicious dishes: Dal Makhani and Tadka Dal. Perfect to save time for a busy South-Asian lifestyle, these dishes have been developed from traditional recipes. These dishes are a rich source of fibre and contain no artificial flavours, colours or preservatives. They are perfectly suited for vegetarians and are healthy to eat constituting 1 of your 5-a-day! You can customise the dish on the hob to the taste of your home or alternatively microwave it in less than 2 minutes. Try the new Rajah Heat & Stir today! Pick it up at a local store near you. Rajah is proud to be associated and have sponsored Masterchef India on Star Plus. MasterChef India Season 5 is a reality show based on the original British Masterchef format, where cooking is not just a hobby for the contestants, but their passion. The show flows through a round of challenges for contestants with Chef Vikas Khanna, chef Kunal Kapur and restaurateur Zorawar Kalra as the judges. Contestants are judged on the basis of their cooking skills, taste, innovation and presentation of dishes. 50 contestants are chosen after auditions from all across India and international territories to get to 12 finalists in the studio shows with the winner crowned after weeks of gruelling rounds of challenges. Watch the show on Star Plus every Saturday and Sunday @ 8pm and bring out the chef in you at home with Rajah spices. It’s here! Welcome to Rajah’s brand new website. It is user friendly and provides interesting facts about Rajah and our products. Rajah spices has a brand new look. Now our packaging is colour coded to reflect the spices and have been well received by our consumers.